People make all kinds of assessments about each other based on hair habits: Brunettes are smarter. Blondes have more fun. Gingers have no soul. You may have even mocked some mullet wearers, jumped to gender conclusions based on someone’s hair style, or used it as a secondary sexuality trait. Don’s Barbershop Presents… takes more than just a little off the top. 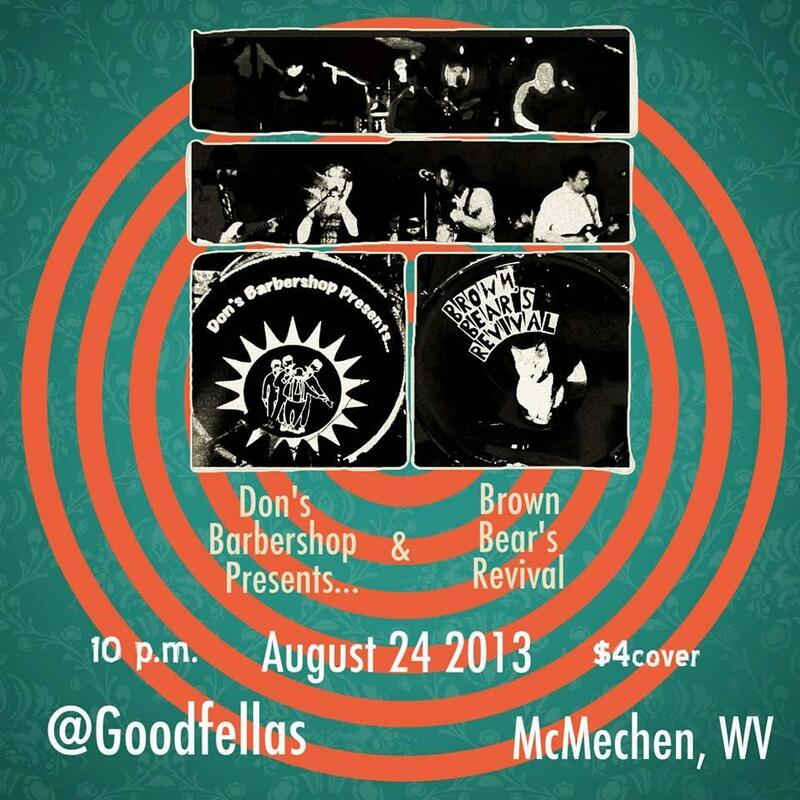 A four piece “musical jambalaya” from Moundsville, WV, Don’s Barbershop Presents… falls somewhere between a flat top and a fade. They blur the lines between a brush cut and a burr. Their sound is lathered and layered, textured and tapered. It has all the right trimmings and transitions, a six o’clock shadow and subtle sideburns. Don’s Barbershop Presents… has cuts that are creative, proportion that is professional. Ben Richards, Jeremiah Welch, Howie Haught, and Todd Hager make “music that is inspired by the devil demon forces of hell.” Self-described as “acid jazz,” their Soundcloud page has been lovingly looping through my speakers with songs such as “The Days of Box Wine and Paper Roses.” A show that has me salivating, you can see them live on Saturday at Goodfellas Bar and Grill with another band that I besiege you to listen to, Brown Bear’s Revival, Come and let your local barbers play something that will possess you, shear your soul, and put on a show that will make you feel like a brand new being. No appointment necessary.